 SPECT/CT dramatically cuts radiation dose in some breast cancer patients - ONRAD, Inc. Diagnostic Imaging | December 17 – Dose reduction at one time played second fiddle to image quality, but today it enjoys top billing. New algorithms are coming into play in CT, radiography, and fluoroscopy to maintain image quality at traditional levels by processing out the noise that sneaks in during low-dose exams. In some cases, fear of radiation has gotten so bad that patients forego CT and other sources of ionizing radiation all together. But now the source of radiation fear may, at least in some cases, be the means for dramatically reducing it. Dr. Andrea Cheville, a consultant in physical medicine and rehabilitation, and colleagues at the Mayo Clinic in Rochester, MN, contend that SPECT/CT can actually reduce the net radiation dose for breast cancer patients. The Mayo researchers used SPECT/CT to exactly identify and localize critical lymph nodes in the underarm area of 30 women with early-stage, low-risk breast cancer. In so doing, they were able to create individualized treatment plans that protected these patients against lymphedema, a swelling of tissue that occurs from radiation-induced damage. “We took these SPECT/CT images and fused them with the CT images from radiation planning and were able to individually tailor—essentially personalize—the (treatment) fields for each of these women such that the tumor and tumor beds received adequate doses of radiation while the lymph nodes that drain the arm were maximally spared,” she said.